OB/GYN Board Prep has been assisting physicians for their Written/CREOG/MOC examinations since 1987. Our philosophy is that "to pass a written board examination, you must practice taking a written board-type examination", which is why our success rate is so high. We offer several review options for the written exam based on a thorough analysis of previous tests, to ensure that candidates are most knowledgeable in the relevant topics, including live seminars, online webinars, home study guides and practice exams. Our successful written exam review courses allow candidates to work with board-certified physicians who are extremely familiar with the exam. Our written exam review courses are listed below. If you have any further questions, please do not hesitate to call our office at 877-831-1565 and we will be happy to assist you. THIS IS OUR MOST POPULAR informative seminar. Courses are given at several convenient locations across the country throughout the year, allowing candidates from all areas to attend these sessions and receive the most successful board review currently available. Our popular sessions fill up fast, so candidates are encouraged to reserve their spot early. Two-and-half days from 8:00am - 5:00pm. Course concludes at 12:00pm on Monday. Offered in several cities around the United States. Over 700 test questions covered on high yield topics. Timed 50-question exams given every hour to test your knowledge on high yield exam topics. Each question explained by Board-Certified Faculty members. Test taking techniques discussed and lectures given daily. This is the only course of its kind. Private courses for Residency programs available - Please contact Debbie or Laurie at (218)651-1565 for available dates. Two-and-half days from 7:00am - 4:00pm. Course concludes at 12:00pm on the Third day. | Chicago, IL, Key West, FL, and Newark, NJ. This course is held the month of the examination. This is a must for previous exam failures and candidates who need extra help understanding complex board topics. Interactive course-candidates are assigned to present topics in front of the class and faculty members interact to ensure complete understanding. This course will focus on everything you need to important to the Practice of OB/GYN. Pass rate on attendance to camp 97.2%. Excellent way to gain confidence prior to the examination. 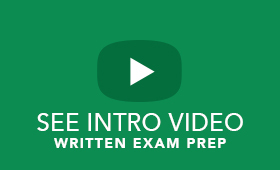 This is one of our most popular courses to assist in preparation right before the exam. This is the only course of its kind. Why start studying at the last minute? Starting your study for the Written exam in advance gives you the biggest opportunity for a passing score. Core topics listed in the ABOG Bulletin discussed and a 50-question timed exam is given nightly to test your baseline knowledge. Faculty member interaction ensures complete understanding of material. This program is designed for the candidate who wants the leading edge of all of the topics and multiple choice questions. A personalized approach for all candidates, targeting their individual needs, is the focus and primary goal of our online courses. Candidates encouraged to engage in dialogue with faculty members during webinars. Webinars are held 10 - 16 times per month depending on holidays and travel. To listen to a sample webinar, go to our facebook page and or listen to one on the Home page of our website. www.facebook/obgynboardprep. This program again is also geared for the practicing physician who has not been exposed to basic sciences since residency. Candidate participation is strongly encouraged. Available home study options for the written exam are, nightly online webinars and taped question and answer reviews. These studies can be completed on your own time and provide valuable review materials to assist the candidate in preparation for the ABOG/AOBOG written, MOC, and CREOG exams. Multiple packages are available and can be designed specifically for each candidate's individual needs.